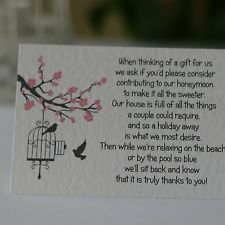 WDYT of asking guests (if they wish) to make a charitable donation instead of giving a wedding present? Obviously it's a generous idea. But do you think it's a bit pretentious?... 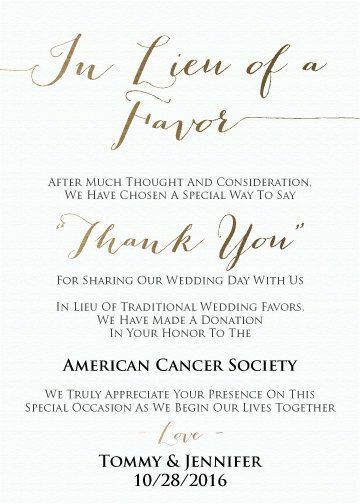 Contact the charity of your choice before writing the invitations. Ask whether the charity prefers monetary gifts or if there are any specific needs. Pledge your day to make someone else's. It's easy! Instead of gifts, ask for donations. I myself have asked for and received donations instead of presents before but have never given them, so I was curious to hear about people's experiences in receiving a charity gift. A totally unrepresentative survey of my friends and fellow bloggers revealed that many of them have either received or given charity gifts before, usually with great success.